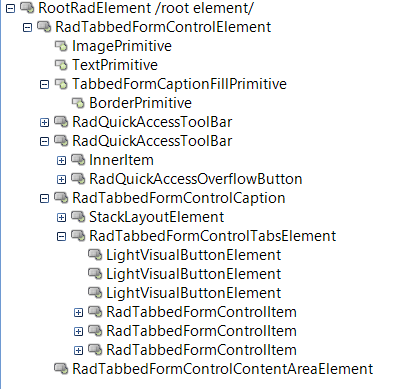 RadTabbedForm is a wrapper of the RadTabbedFormControl. 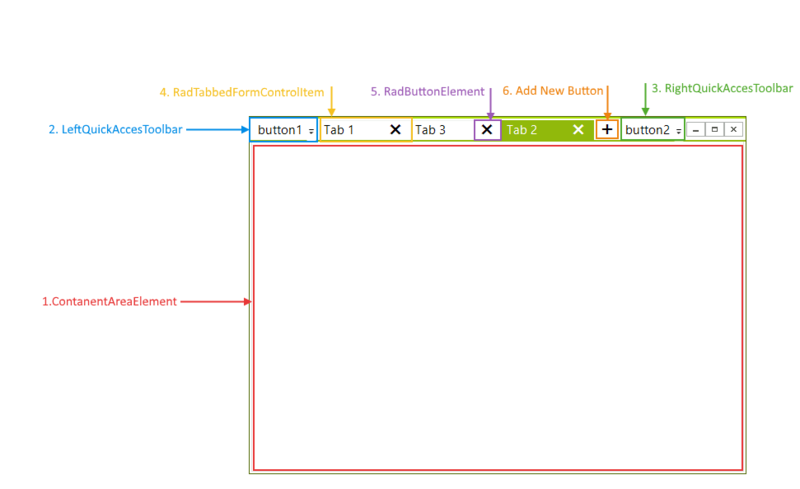 The tabbed control is docked to Fill and it is the sole child control of the RadTabbedForm. This article explains the inner structure of the RadTabbedFormControl.